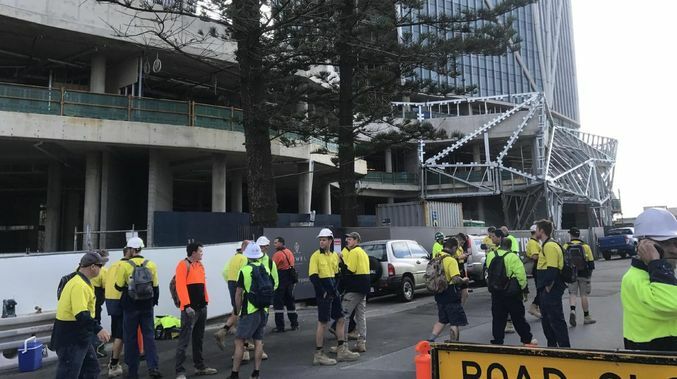 Work has ground to a halt at Yuhu’s Jewel development on the Gold Coast, with three men rushed to hospital following a serious incident at the beachfront site. The accident occurred at about 8.45am on Wednesday when a steel tray carrying “hundreds of kilos” of electrical cable collapsed on to the three men. A Queensland Ambulance spokesperson said that three male patients, aged 27 and 28, were transferred to the Gold Coast University Hospital. A 27-year-old man suffered a leg, chest and pelvis injuries, while the other two men suffered shoulder, hip and head injuries. All men are in a stable condition with one of the men’s injuries downgraded from serious. Multiplex managing director Graham Cottam confirmed the incident. “We have notified other relevant authorities including Workplace Health and Safety Queensland. It is the second accident on the Old Burleigh Road site this year, with the Gold Coast Bulletin reporting that a worker had sustained serious injuries after a horrific accident on site in May. Workers leave the Jewel site on Wednesday after three workers were injured. The workers injured were members of the electrical trade union. Electrical Trade Union Queensland state organiser Beau Malone said that in the scheme of the incident, the workers were “very fortunate”. “Thankfully the quick response of 15 workers in the vicinity of the work area were able to lift the cable tray off the workers and remove them from underneath the cable tray. It is the latest in a series of incidents for the beleaguered project, with hundreds of workers walking off site in September after Yuhu revised contractor Multiplex’s contract. Chinese developer Yuhu Group acquired Jewel, along with Sydney’s One Circular Quay, in May from Dalian Wanda for well over $1 billion. 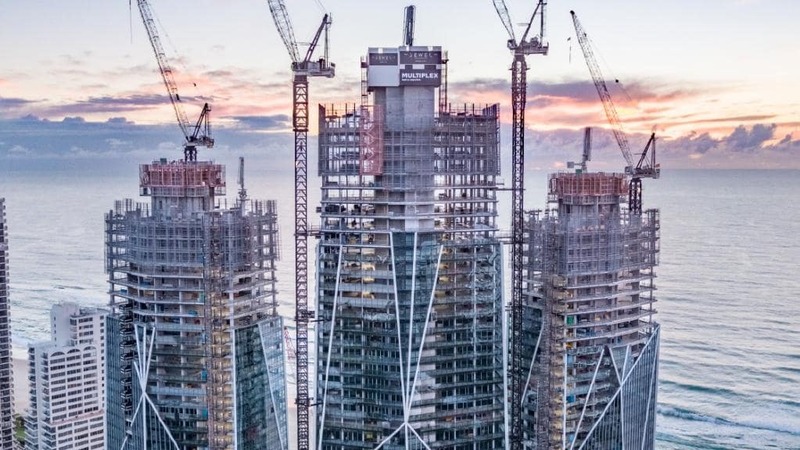 The triple-tower development topped out in August and remains on track for completion in mid-2019.